Are you the one person to help prevent Suicide? It only takes one. 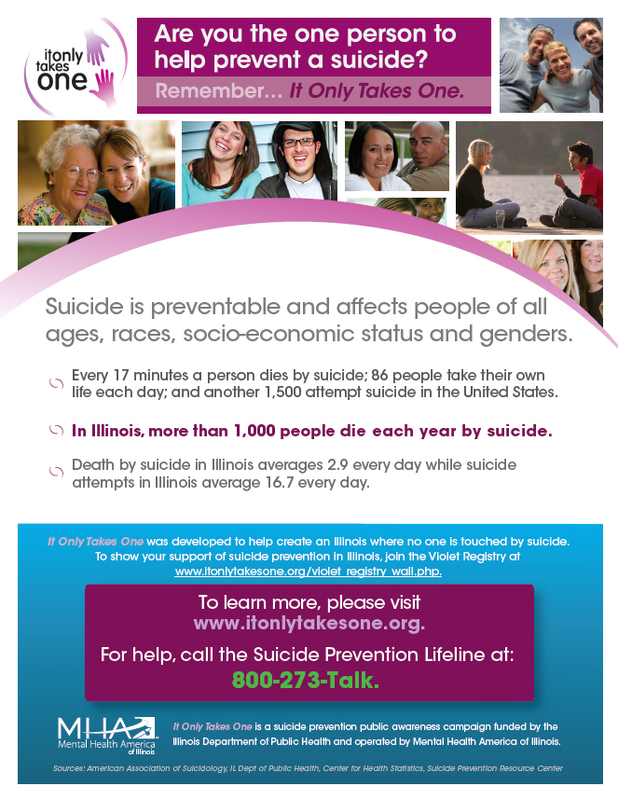 | Family Counseling Center, Inc.
Did you know that suicide is the 3rd leading cause of death for youth ages 10 to 24?